As a person in this world, it’s easy to think that we don’t matter. But all of us have an impact on others by virtue of our existence. Even if you’re just quieting living out your life, you still impact others based on what you do or don’t do. Take for example, a smoker. My neighbor smokes throughout the day, and his simple act causes my house to be filled with cigarette smoke multiple times a day. Because of this, I need to shut the windows every day and get an air filter for my work room. His smoking habit causes others — including his wife, his neighbors, and others in this estate — to breathe in pollutants, which affects their health. According to the CDC, there is no risk-free level of passive smoking. Another example is online trolls. An online troll goes around posting comments bashing people. When they post such comments, they probably do so recklessly without thinking. 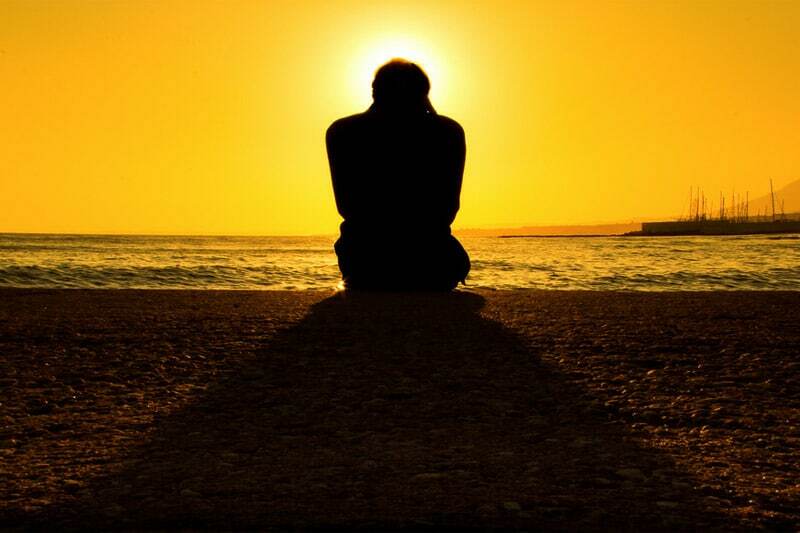 But for the person receiving the comment, they may feel upset or depressed, sometimes long after the incident. I receive negative comments, and sometimes I get affected by the sheer rudeness and insensitivity of some of them. Positive impact involves thinking about others before yourself. Getting your head out of the matrices of today’s world — materialism, pop culture, luxury living, the race for quick results, capitalism, profiteering, vanity, mindless marketing — and actually look at the world as it is, plus the people around you as people for a change, not individuals to profit from. Honestly, most people who are 57 are probably thinking about retirement and enjoying their golden years — and there’s nothing wrong with that. But Larry is interested in being of service to the world, and he wants to put his skills and faculties to good use, particularly through humanitarian work in developing countries. Since our coaching, he’s been in Peace Corps, teaching and making an impact in the local communities. He’s 65 now. His first stint was in the Philippines, lasting 3 years. For the past 2 years he’s been based in China, training workers and teachers. Larry is American and had never been to the Philippines or China, so these were new grounds for him. He had to learn Chinese and learn about the local culture to integrate. 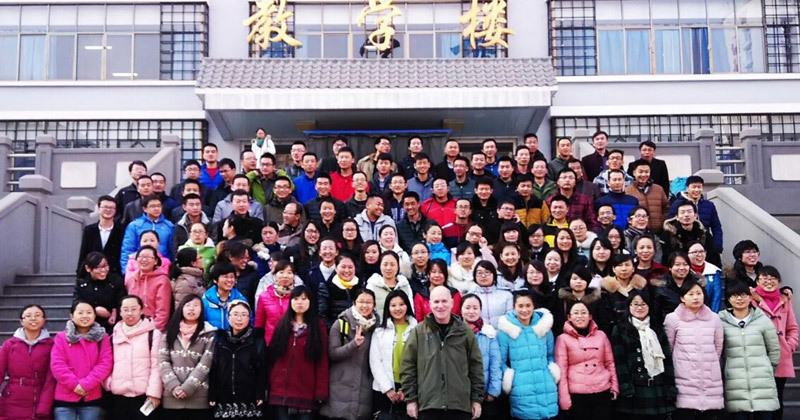 Recently he taught a 6-week English class to doctors who teach Chinese Medicine subjects. He also gave a talk to 100 university students, sharing his life as a foreigner in different Asian countries. Some people wonder why he isn’t retired. For Larry, it’s because he sees his purpose as “To give something back to humanity” and “To continually learn and grow as a human being” (statements he set for himself during our coaching). He feels that these are the most meaningful things he can do, and this is the impact he’s creating in the world. While many kids talk about hating school, Malala Yousafzai, 19 (as of 2016), has been busy fighting for a human’s right to education. 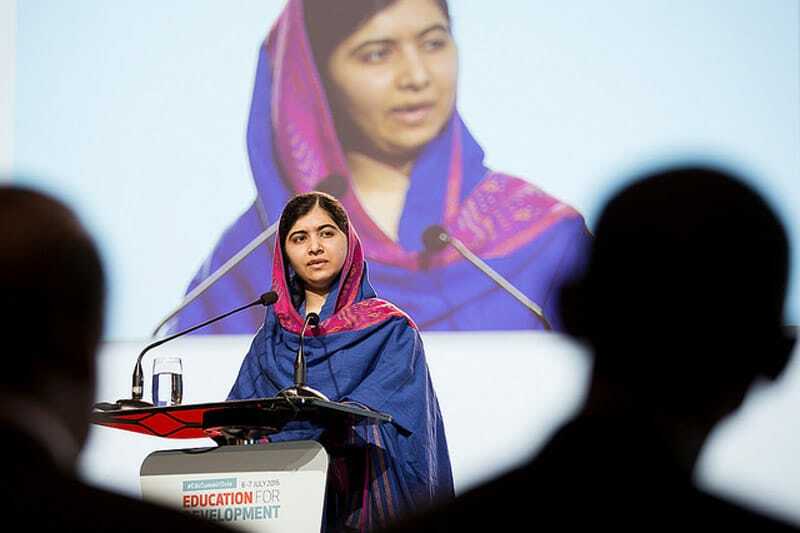 Born in Pakistan in 1997, Malala started speaking about education rights when she was 11. 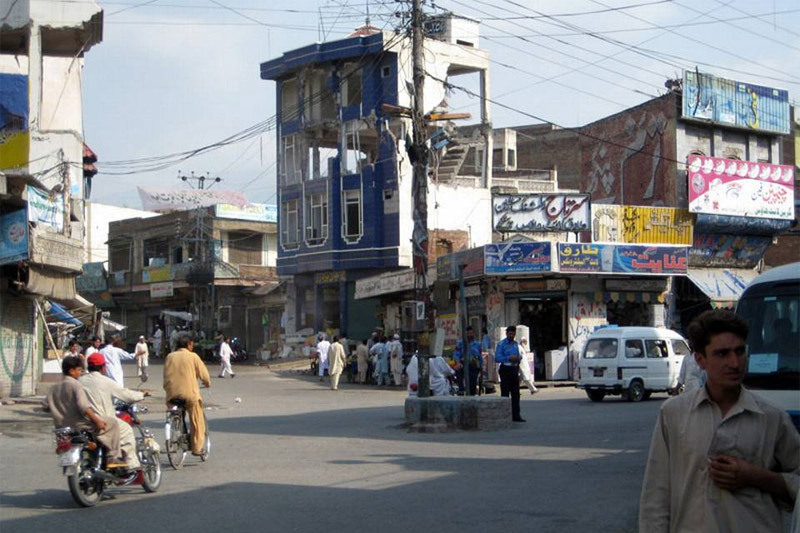 At that time, Taliban militants (an Islamic fundamentalist group) were taking over her home district, banning TV, music, and women from going to school and even the market. Bodies of beheaded policemen would be hung in town squares. To the Taliban, women are not allowed to work or study except study the Quran. To them, the women’s role is to marry, have kids, and care for the family. Malala was outraged. “How dare the Taliban take away my basic right to education?” Malala spoke at a local club, in a speech covered by the media. In 2009, Taliban militants banned girls from schoo. By then, they had blown up more than a hundred girls’ schools. Malala started to publicly advocate for female education, at a time when people laid low out of fear of being targeted. As she became more recognized, the Taliban leaders decided to get rid of her. 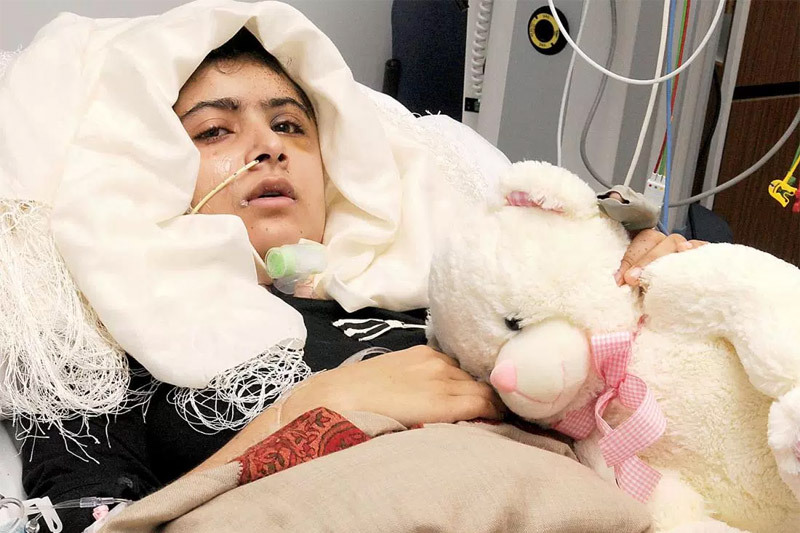 On October 9, 2012, Malala was attacked on the school bus, shot with one bullet through her head, neck, and shoulder. She was just 15 then. She was in a coma for a week and the doctors fought to save her. She subsequently came out of her coma and had to learn to speak and walk again. Her recovery with no brain damage was a miracle. Today, Malala is an activist for human rights and education, giving speeches around the world. She was awarded the Nobel Peace Prize in 2014 and became the youngest winner at the age of 17. Clearly, the ability to create impact isn’t limited to your age. Malala leads an organization today called the Malala Fund which enables girls to complete safe, quality primary and secondary education. Check out her UN Youth Assembly speech here. Terry Fox (1958–1981) was a regular student like any other, with a passion for sports. However, he was diagnosed with bone cancer when he was 18. 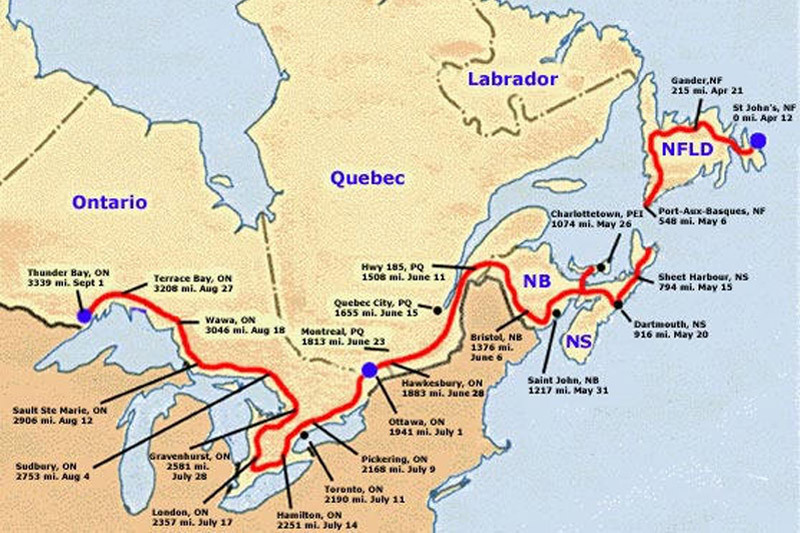 When his right leg got amputated due to the disease, he decided to run across Canada to raise money for cancer research. That’s 8,000 km (5,000 miles) in length, running on just one leg and an artificial right leg. On April 12, 1980, Terry began his run. Every day, he ran a marathon (42 km/ 26 miles). His friend and brother drove closely behind, to watch over him should anything happen. Despite gale force winds, pouring rain, snowstorms, and sweltering heat, nothing stopped him. Unfortunately, the physical demands of running a marathon every day without rest, on only one leg, took its toll on his body. He was forced to end his run after 143 days and 5,373 kilometres (3,339 mi) as his cancer had spread to his lungs. Up until he was forced to stop, Terry had barely taken any days off, not even on his 22nd birthday, except for events that he believed would raise more money for cancer research. Terry died on June 28, 1981. He was 22. The Canadian government ordered flags across the country to fly at half mast, an unprecedented honor usually reserved for distinguished statesmen. By his death, Terry had raised over $24 million CAD, ($17.5 million USD). His mom Betty Fox set up The Terry Fox Foundation and has raised over $650 million CAD ($474 million USD) as of 2014. 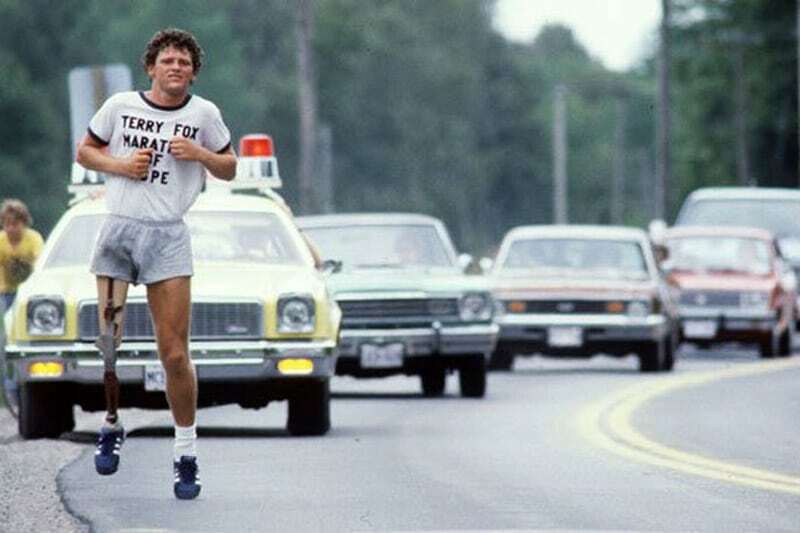 The Terry Fox Run, a non-competitive charity run, is held every year to carry on Terry’s legacy. Since Terry’s death, the cure rate for bone sarcoma has increased from 50% up to almost 80% in younger patients and 70% in older patients. Most patients today don’t get amputations but limb-sparing or limb-reconstructive surgery. This can be said to be due to advances spurred by the millions raised in Terry’s name. There are of course tons of people making an impact on the world. The above are just three people, three simple examples. My point is that impact can be created by any of us. Impact cannot be quantified in ROI, GDP, or monetary terms. If you are to measure the impact created by Larry, Malala, or Terry in terms of GDP, I’m sure it’d register as nothing. Yet I find their impact way more meaningful than say, some of the work that politicians, Silicon Valley businesses, and money-centered nations do today. Their work creates a positive impact on humanity and forwards people toward a better future. The same can be said for scientists, researchers, cleaners, teachers, nurses, construction workers, caretakers, environmentalists, and activists. They may not be the highest paid people in the world, but they create massive value. The society today may not reward them in a way that matches their value, but that’s because our society today is still a child in its consciousness. Perhaps you are already creating an impact on others. If so, that’s fantastic! Continue doing what you do. Perhaps you don’t care about creating an impact. But remember that you already have an impact on others just by being in this world. Your actions — and non-actions — affect others one way or another. What you do or don’t do affect your family, your friends, and people around you. What you consume, purchase, and interact with creates a ripple effect that affects the world. This is known as the butterfly effect — that small causes can have larger effects. Your one little action today affects everyone around you, in more ways than you realize.